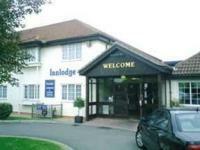 About: The Bridge Inn is a budget lodge, located in beautiful countryside, very convenient for the m5 motorway Jnc 20. Our ActionZone is a fun-filled paradise for children, with two levels of interconnecting adventure areas. For special occasions, we have a air-conditioned banqueting suite with its own private bar. Our experienced team will work with you to make your special day a day to remember. The hotel has a Disabled room and also has Ground Floor Rooms.